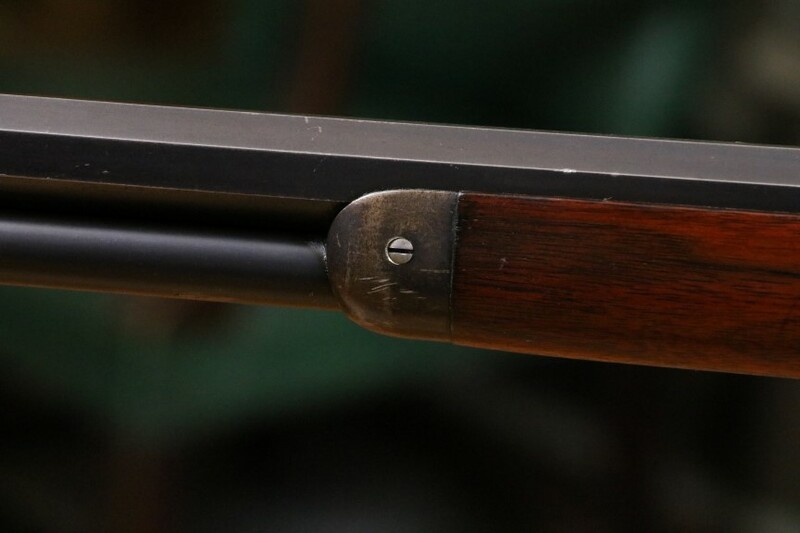 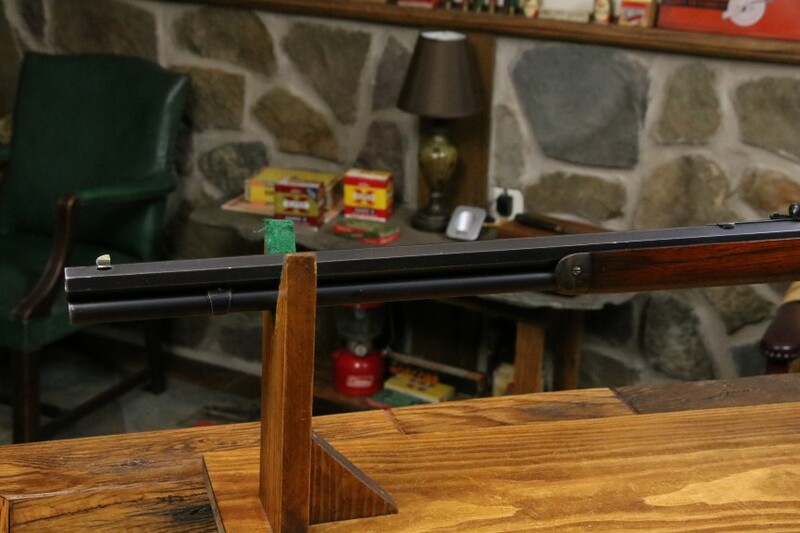 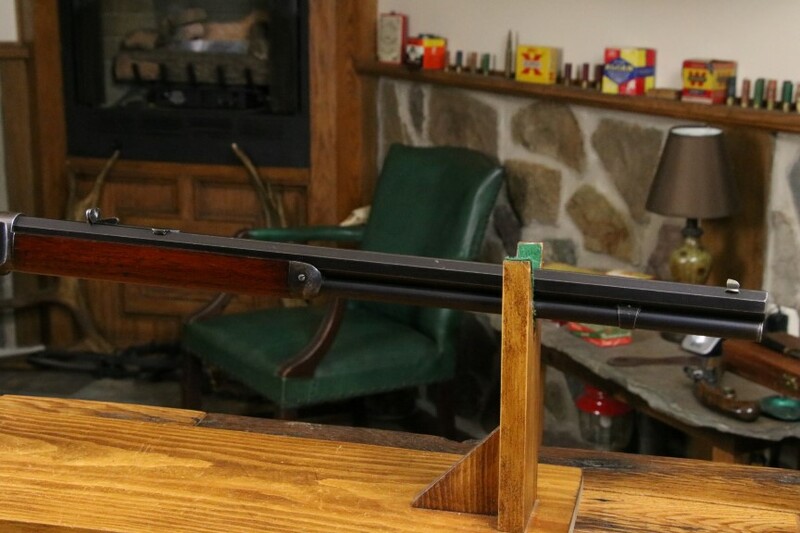 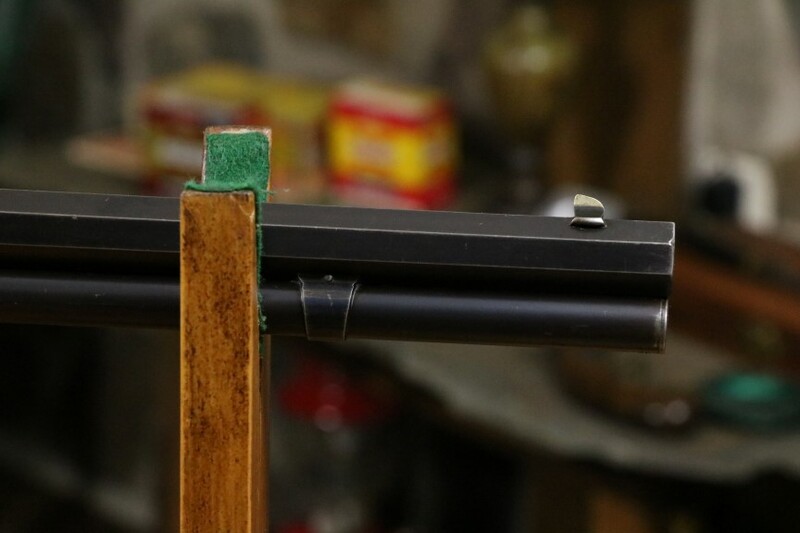 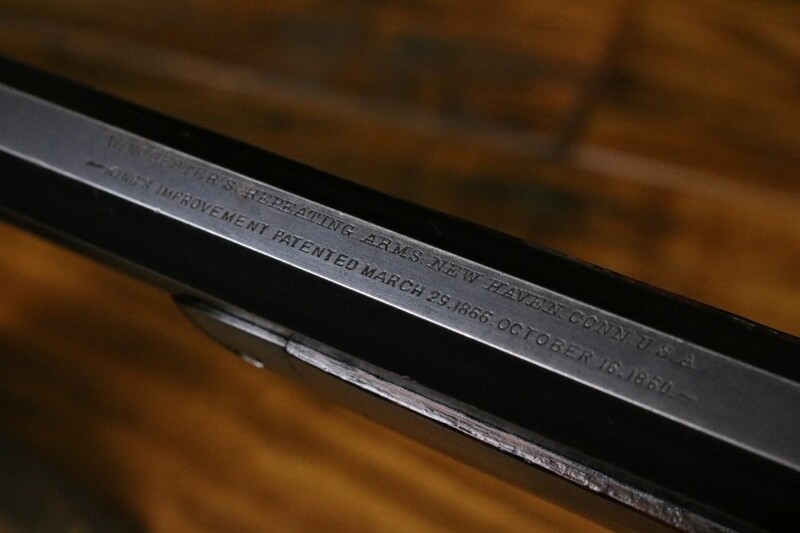 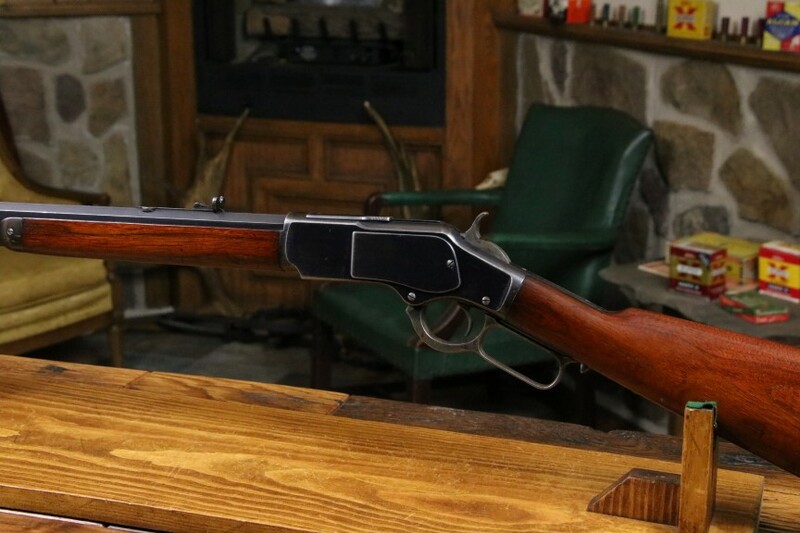 Winchester 1873 Octagon Barrel 44-44 WCF. 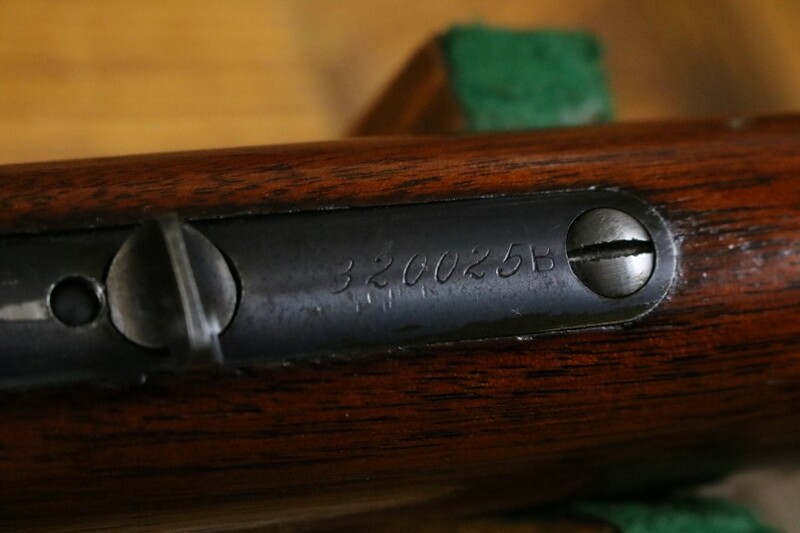 Serial number is 320025 made in 1890. 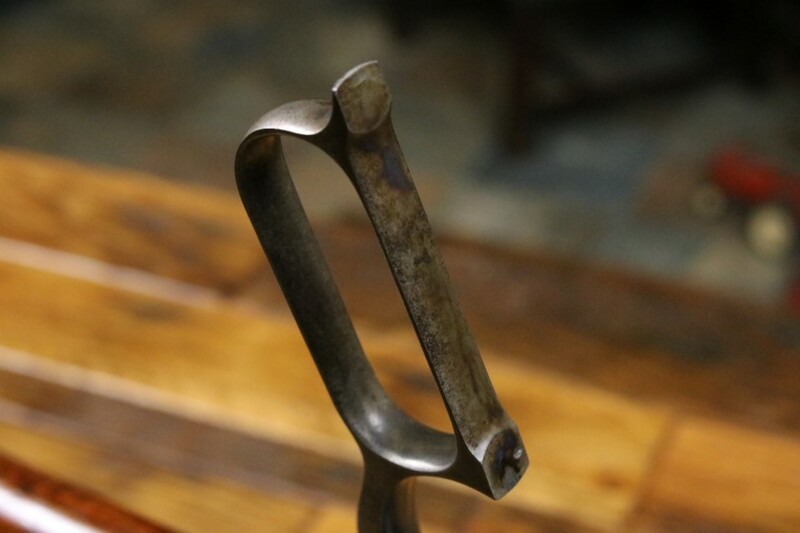 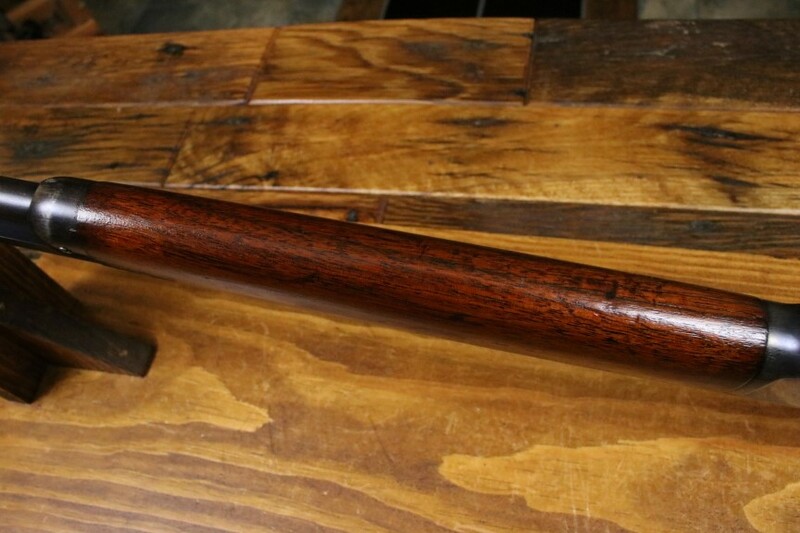 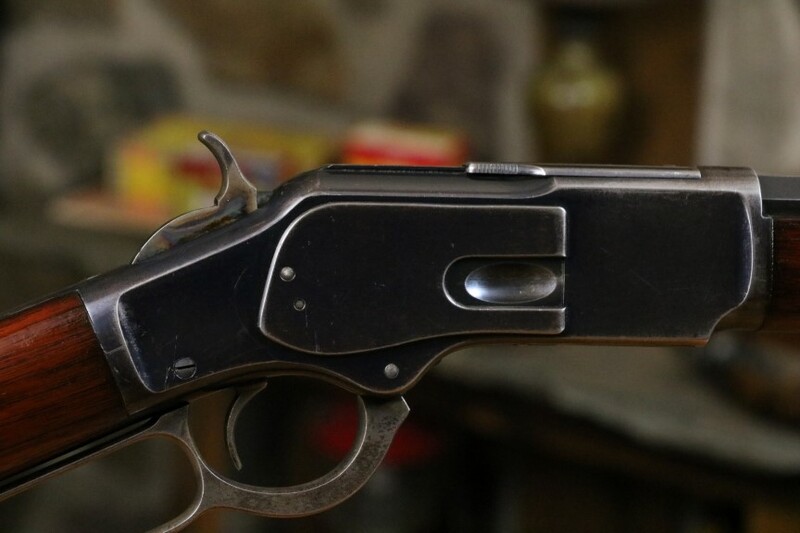 Antique Octagon Barrel 1873s in 44-40 WCF are very difficult to find and this is a super original example. 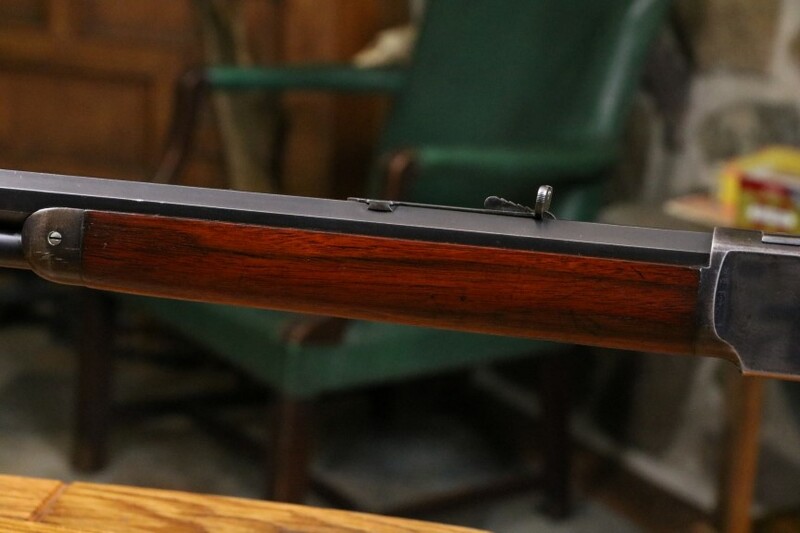 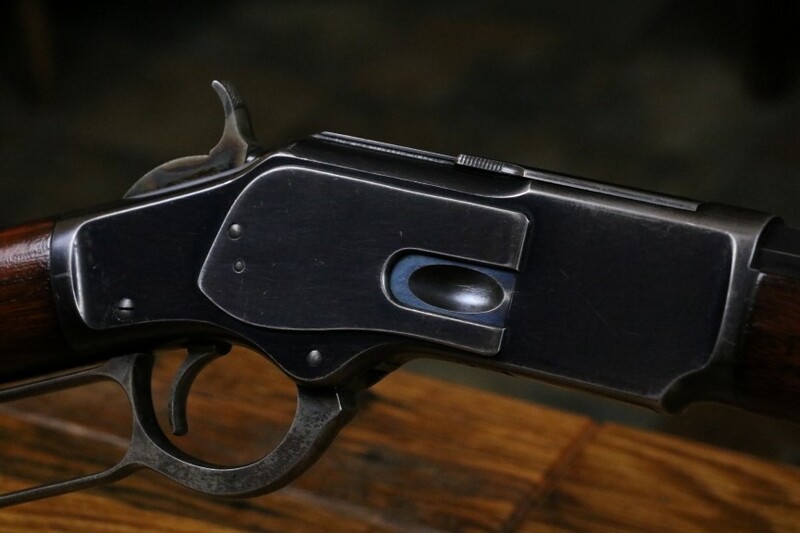 Most of the receiver and barrel blue remain with some light high edge and carry wear. 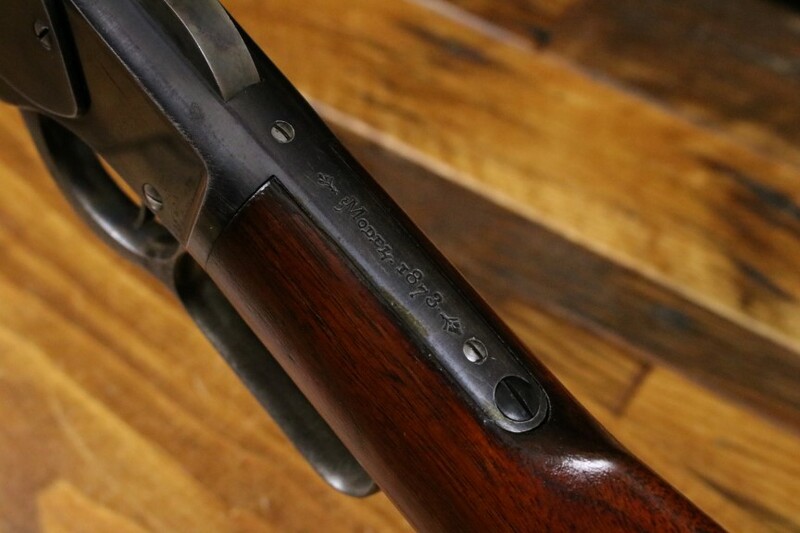 Nearly all of the original bright fire blue is present on the loading gate. 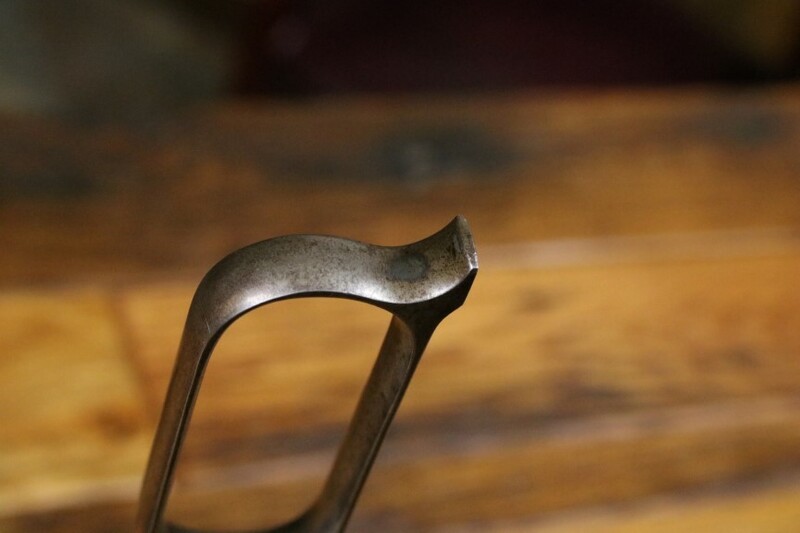 Most of the original case coloring is still on the hammer wth the lever case color mostly faded out. 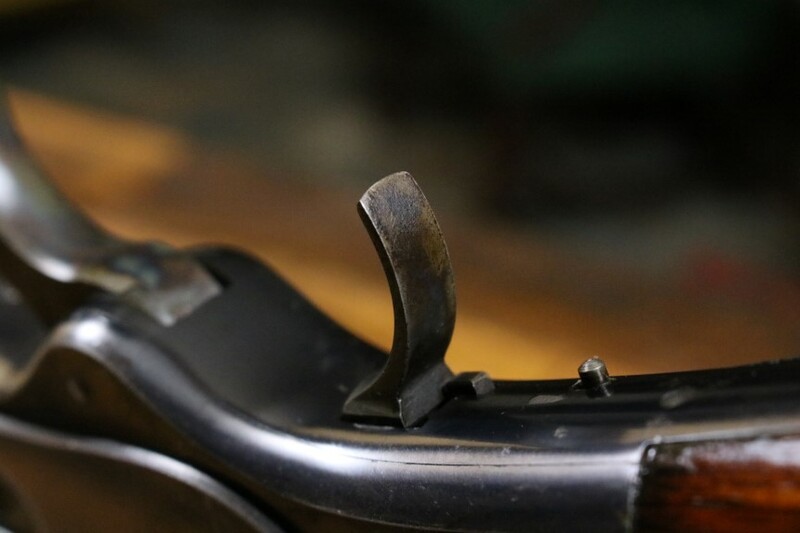 The original sights are present and don't look to have ever been changed . 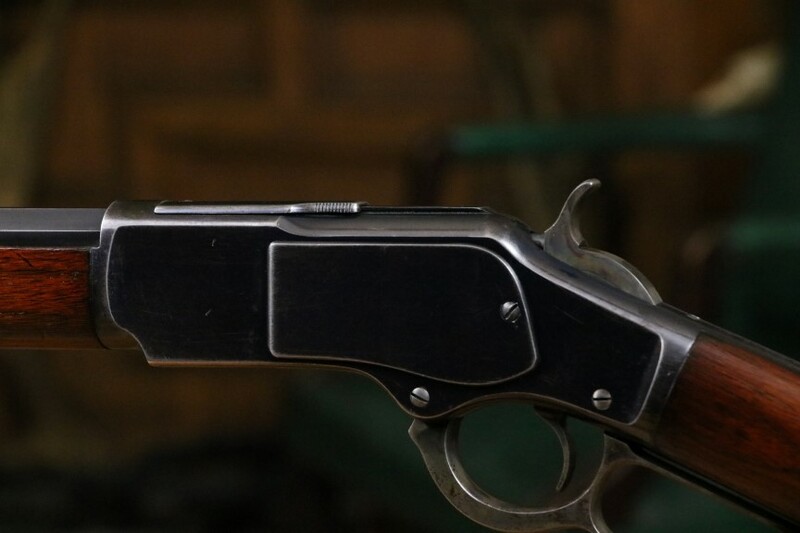 The bore is excellent and is a 9 out of 10. 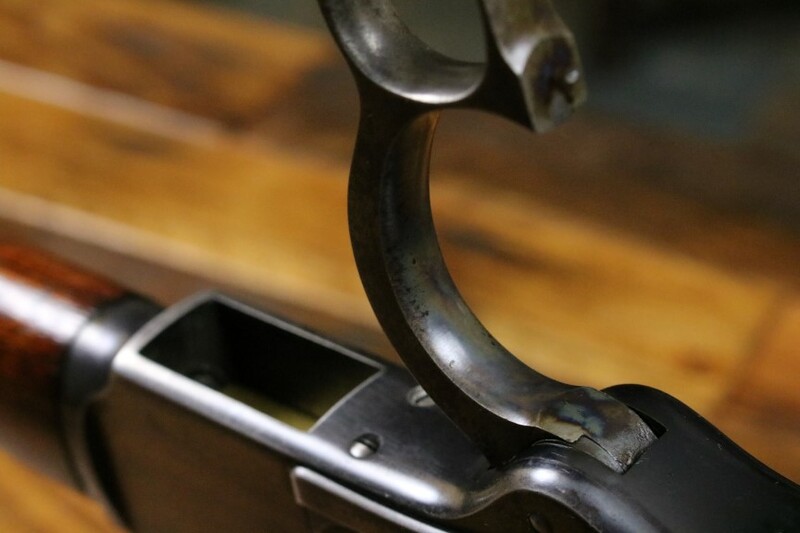 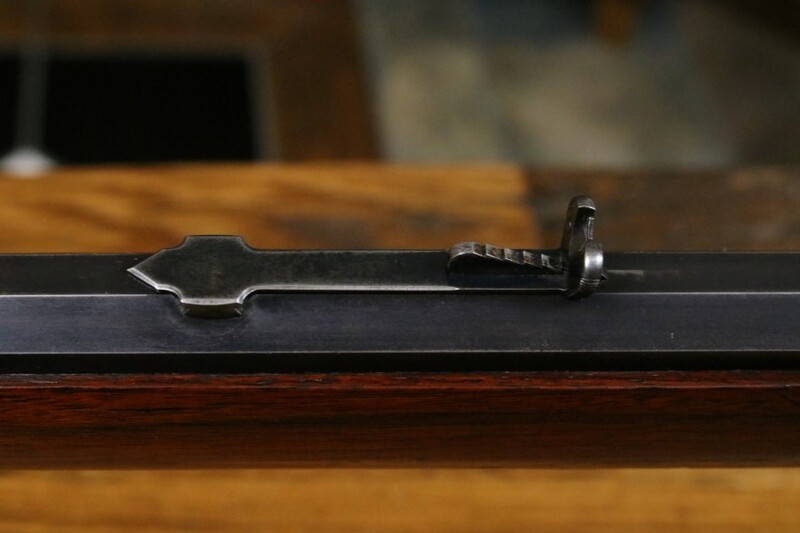 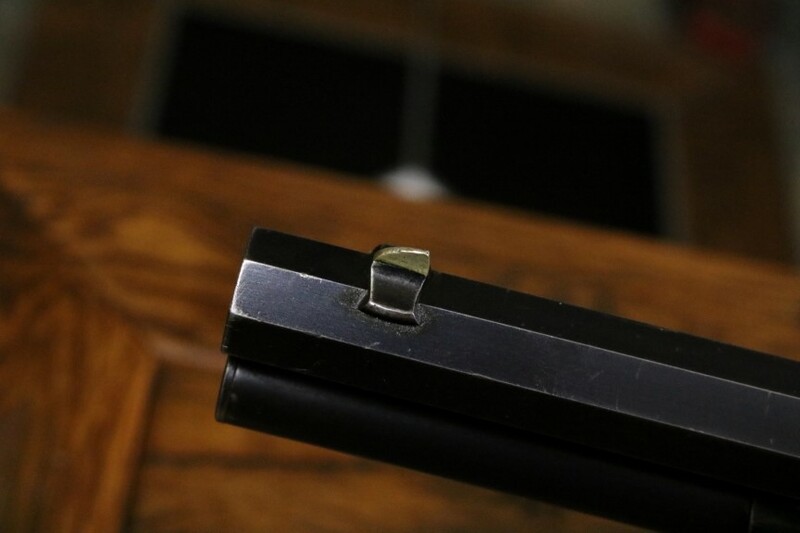 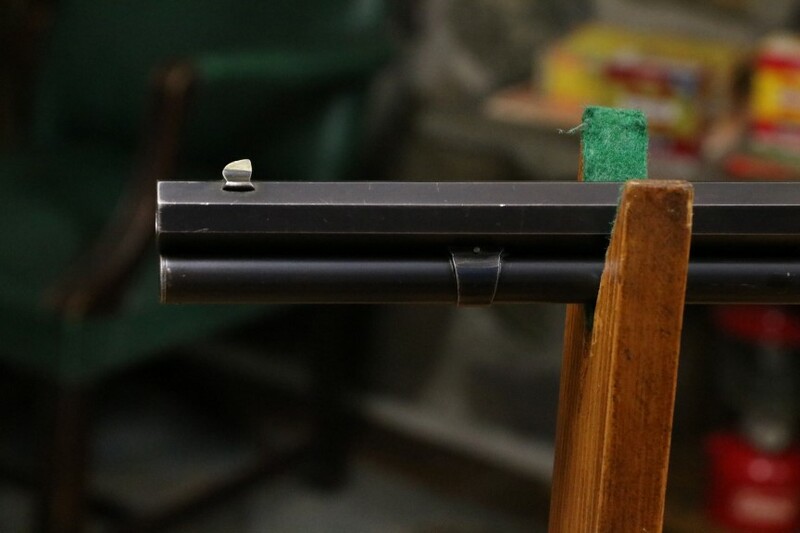 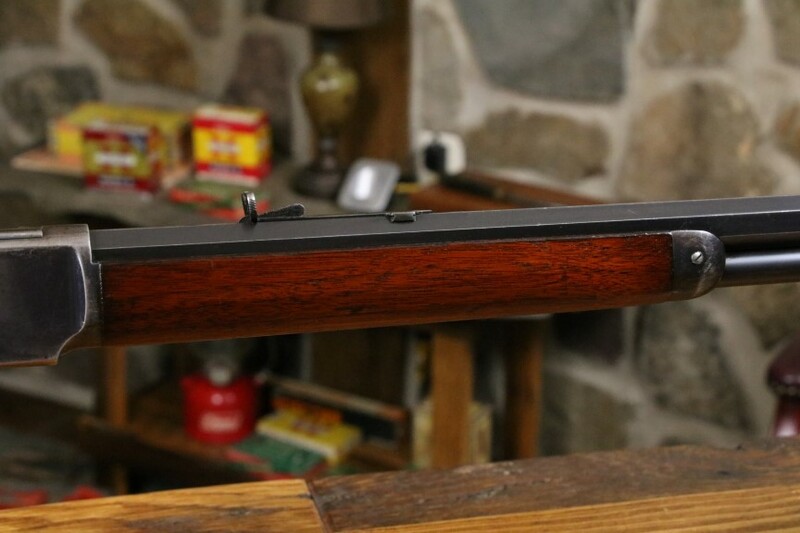 Strong .44 Cal marking on the brass lifter. 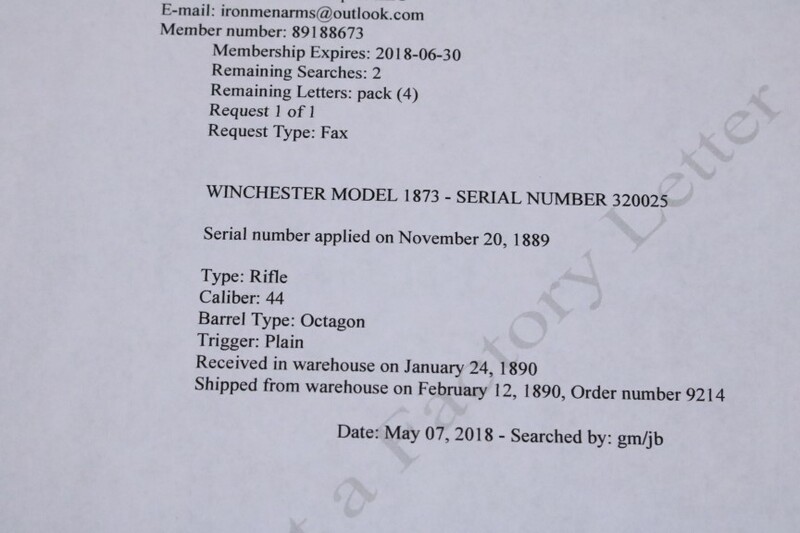 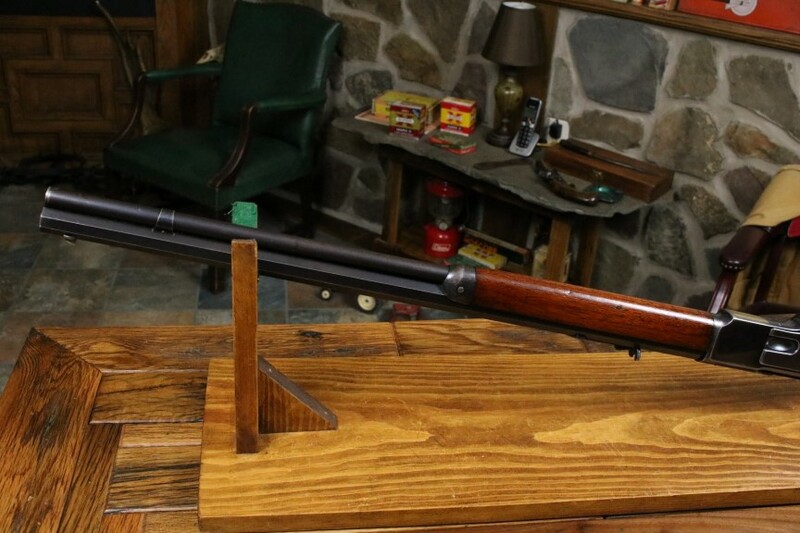 24 inch Octagon barrel with a deep Winchester address. 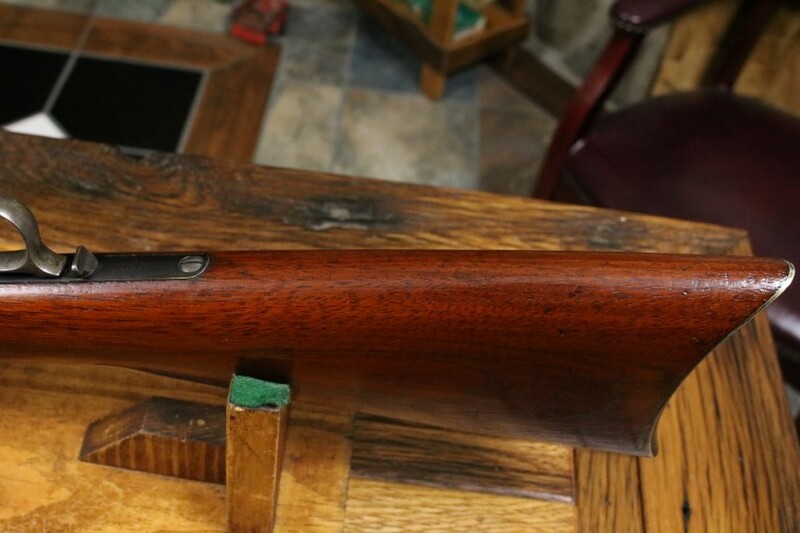 Excellent stock and fore end with no cracks or repairs and superb wood to metal fit. 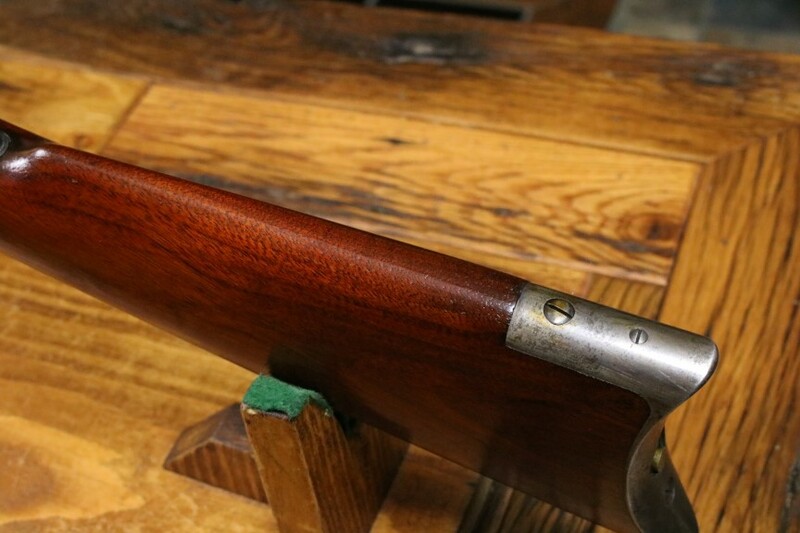 There has been an old coat of oil appied to the wood long ago but there has been no sanding or altering of the wood in any way. 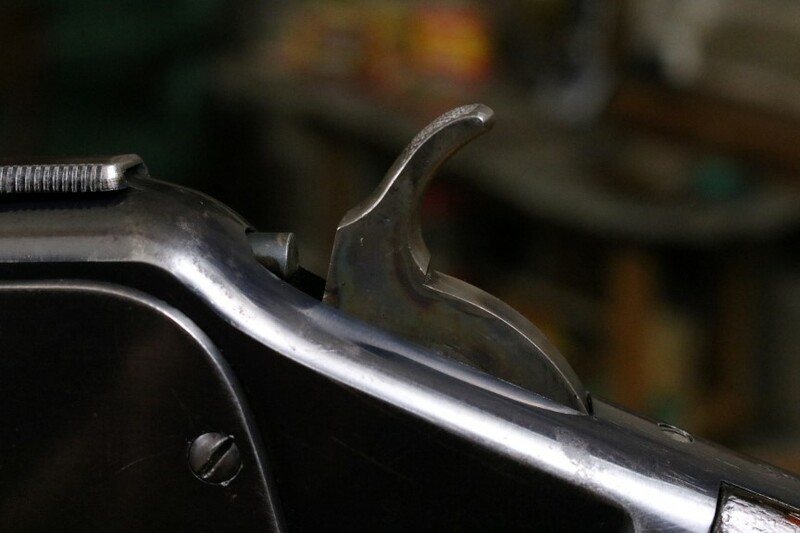 There are no extra holes or other non-factory alterations. 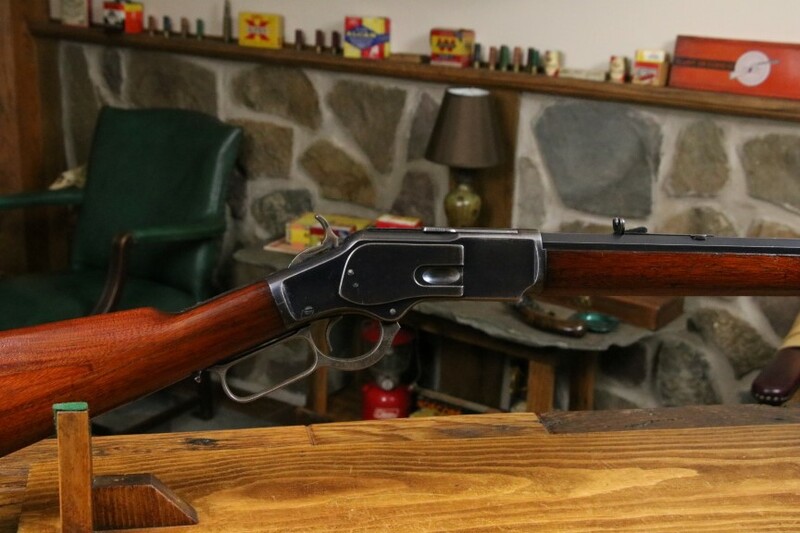 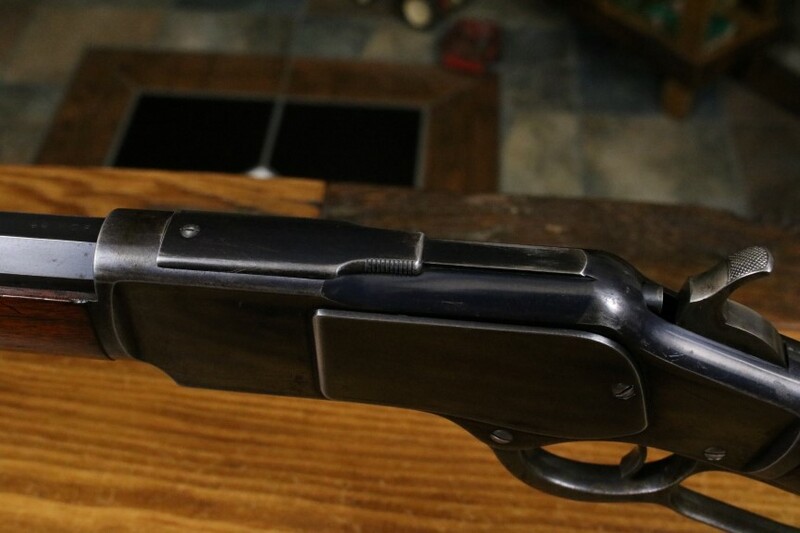 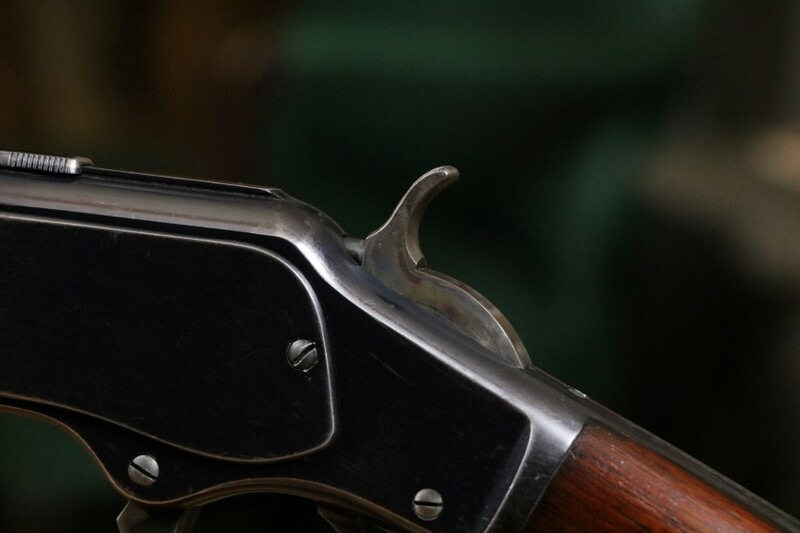 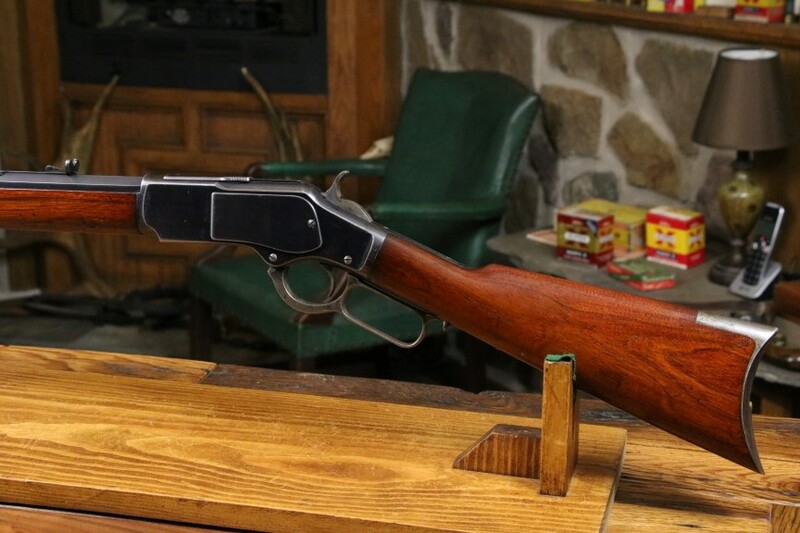 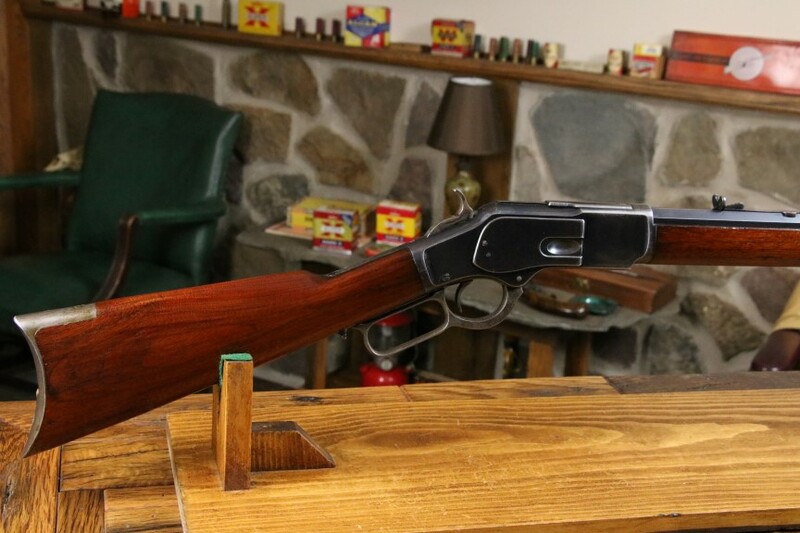 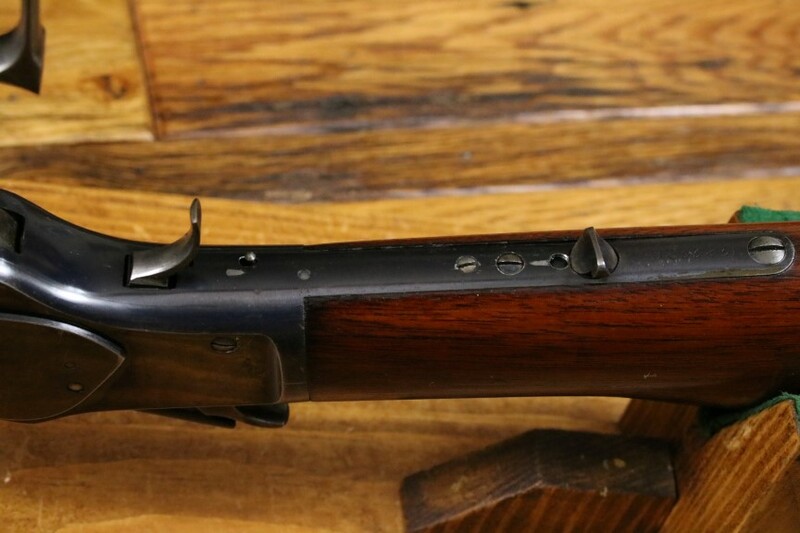 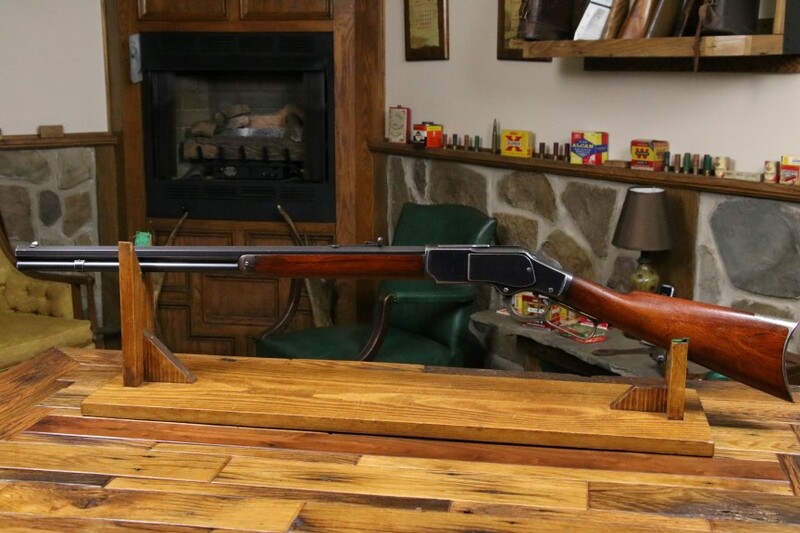 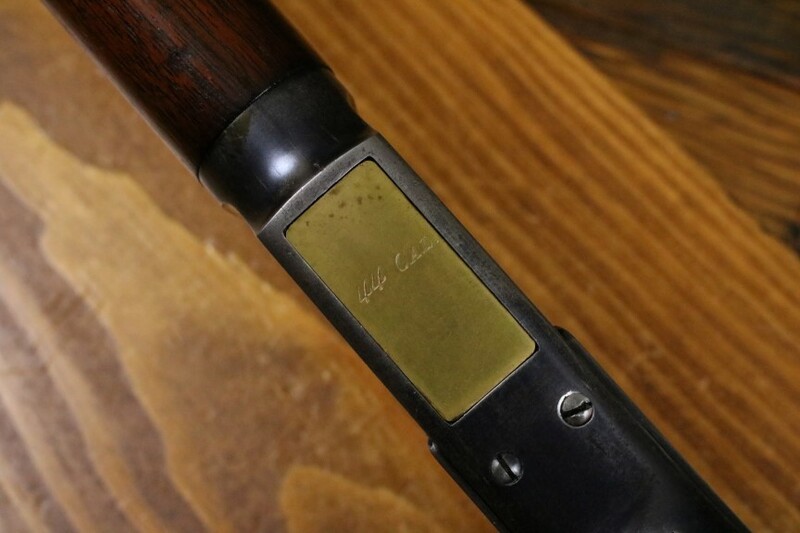 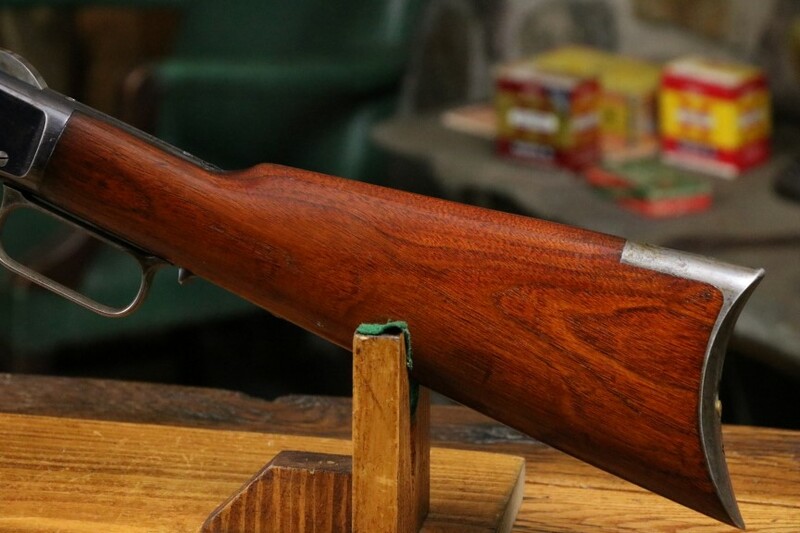 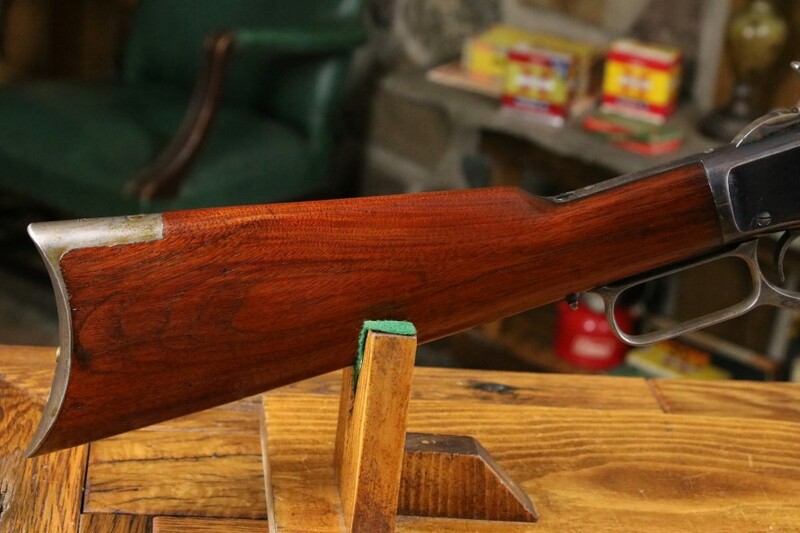 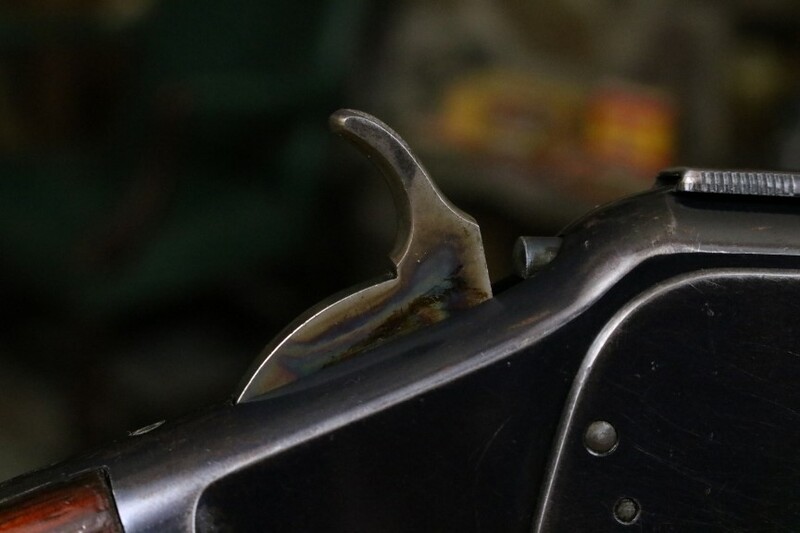 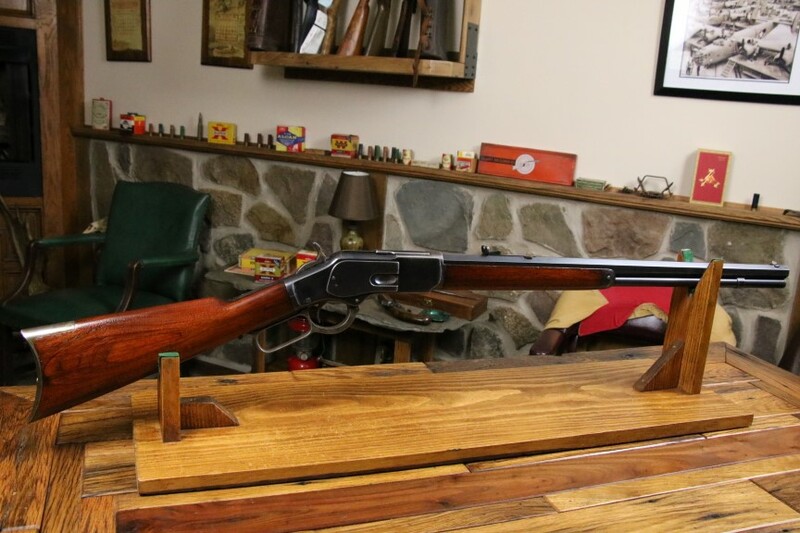 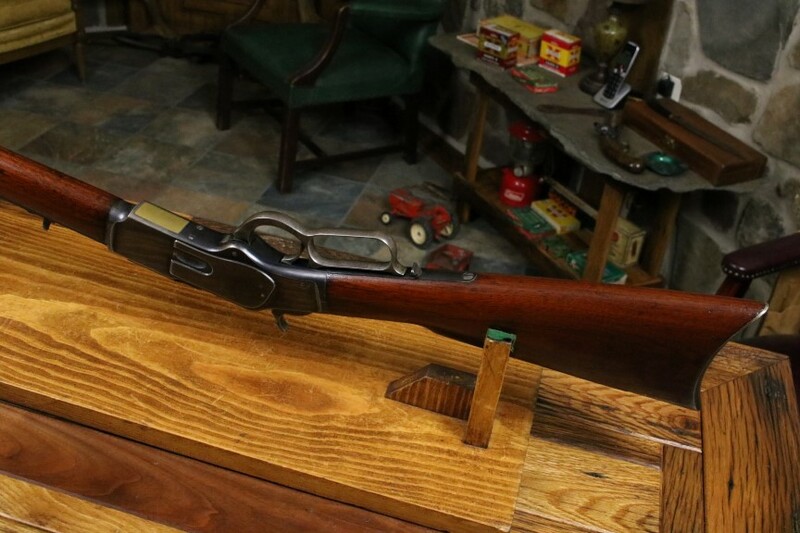 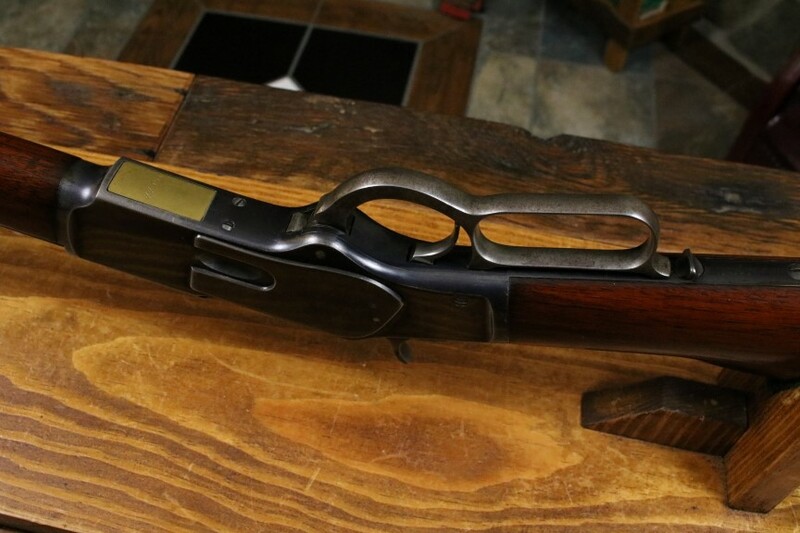 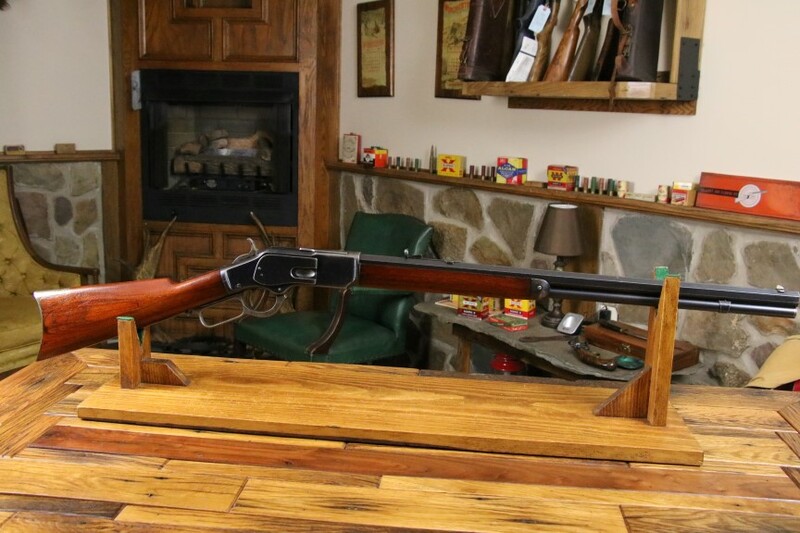 This is one of the VERY BEST Antique 1873 Winchesters in 44-40 that you are likely to find. 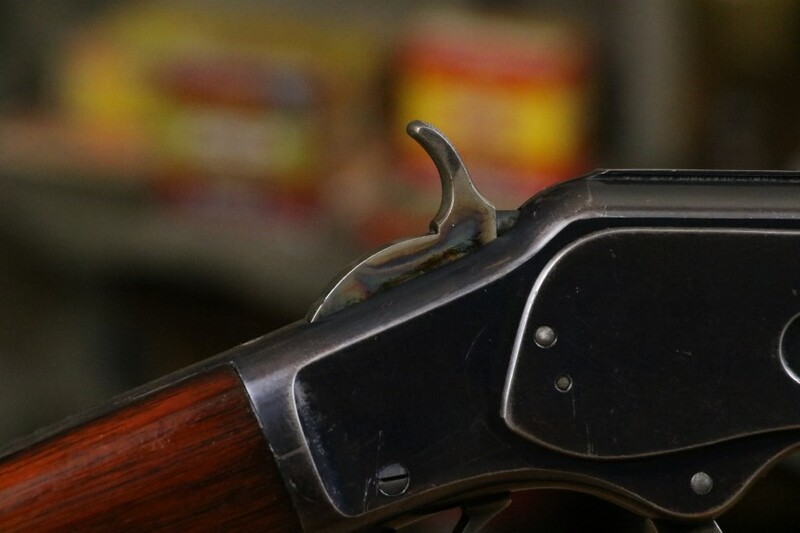 Collection Grade. 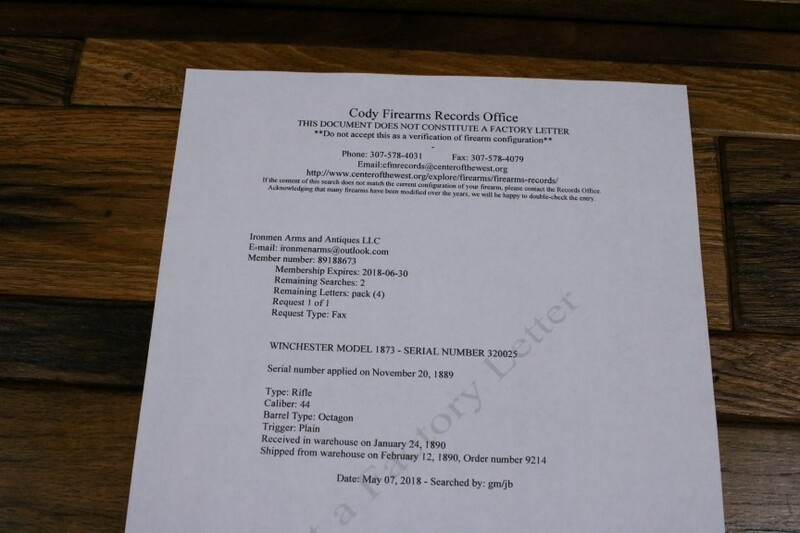 Includes a copy of the Cody Museum research sheet and it letters up perfectly. 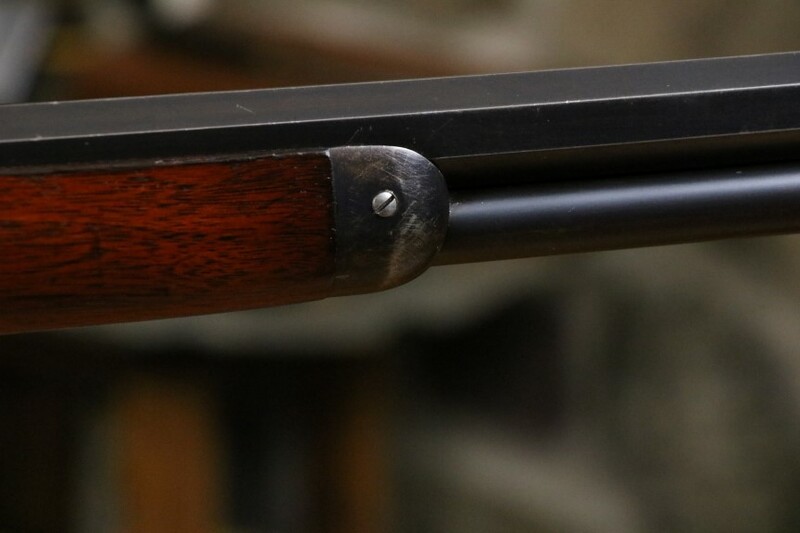 Please consider our many detailed photos as part of our description. 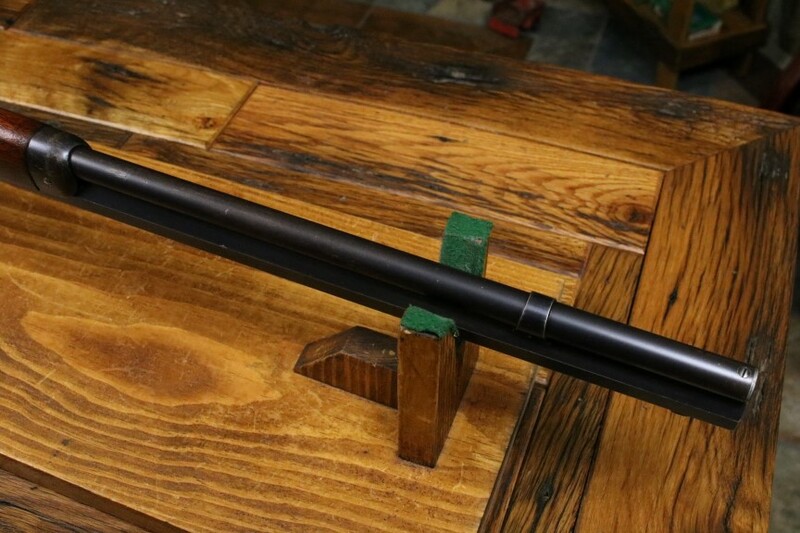 You will be very pleased with this one!